DISCONTINUED. Please see HDR111 High Speed Hand Dryer. This product is discontinued. Please see HDR111#SS. Drain tray collects water drips from hands to keep the restroom environment clean and dry. 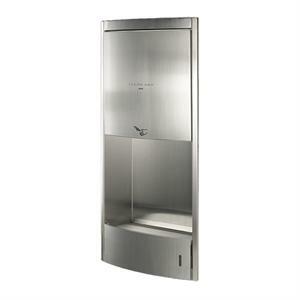 TOTO's High Speed Hand Dryer is equipped with a very fast, quiet motor. Wide air nozzle dries hands fast and evenly. Clean Dry™ dries hands in 12 seconds with low noise level, rating of 58dB for comfortable use. Hand Dryer body, frame, and surface are made of superior quality stainless steel for high durability, endurance and long life. 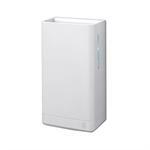 Toto Clean Dry Model HDR120, Hygienic sensor activated, 120V, automatic.